Herbet, IV, 1900, 307 (1969, 157), VI (Petits Cartouches), 28. COLLECTIONS: Amsterdam (De Jong and de Groot, 1988, 228, 542.27). Berlin, Kunstbibliothek, 15 284a. New York, 62.525, no. 10 (this print is in reverse of the print described by Herbet). Paris, Ensba. Zerner, in EdF, 1972, 273, under no. 327, as copied from Fantuzzi’s etching. Wilson-Chevalier, in Fontainebleau, 1985, 133-134, no. 77 (Paris). Brugerolles and Guillet, 1994, 44, Fig. (Paris, Ensba), under no. 16. 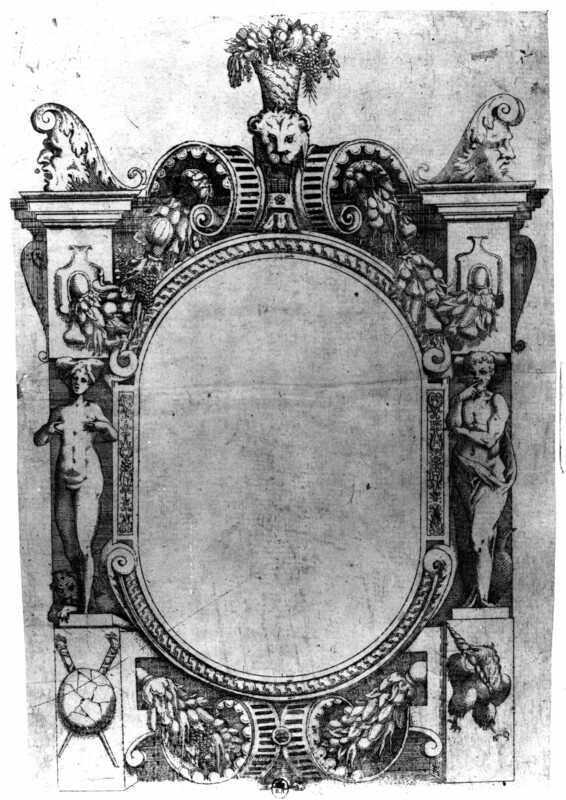 This print is copied in reverse from Fantuzzi’s etching (Fig.E.67), which is related to the decoration of the East Wall of the Gallery of Francis I (see P.22, East Wall). 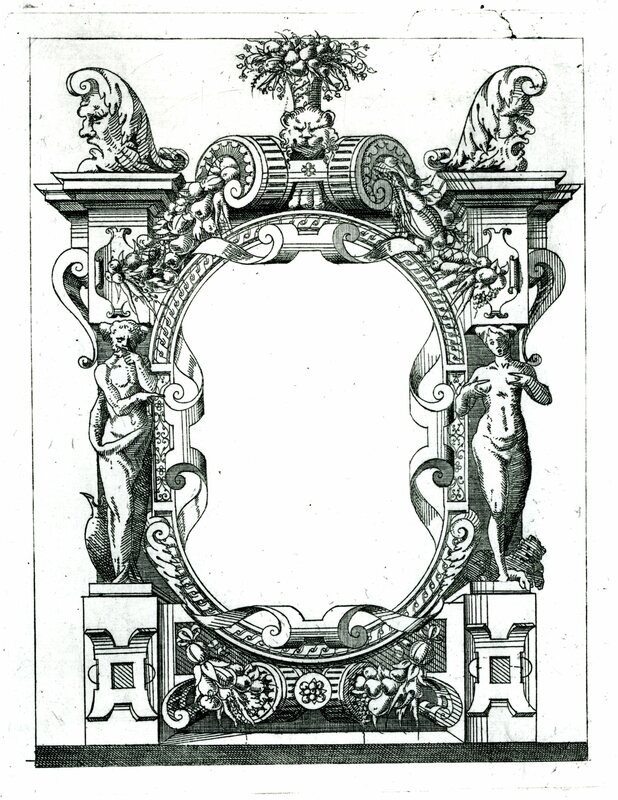 Du Cerceau has added some scrolls to the frame of the oval and has replaced the images beneath the figures in Fantuzzi’s print with small scrolled plaques. Herbet’s description is in reverse of the print in New York, but in the same direction as the one reproduced by Baldus. Other of the Petits Cartouches seem also to exist in reverse. COPY: London, Case 168, Q 26, p.2 (17.5 x 12.8 L with margin below of 0.5), at lower left: 1 EXC, at lower right: EC/CAS.